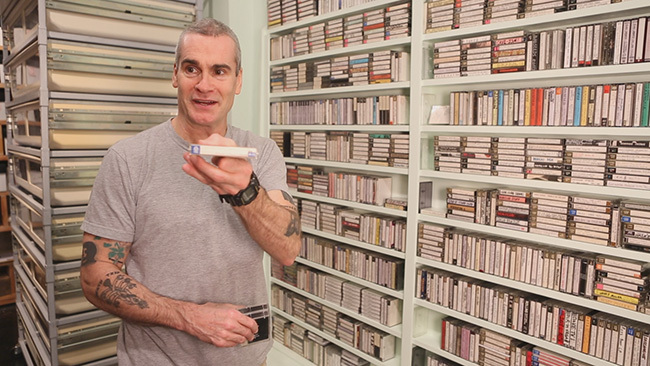 This entry was posted in Articles, Bow Wow Wow, Cassettes, Henry Rollins, Malcolm McLaren, Movies and tagged bowwowwow, Cassettes, henryrollins, malcolmmclaren, spotify. Bookmark the permalink. Enjoyed this, Matt, even though I’m slightly alarmed at the prospect of another format making a return visit. Now, how many mini-discs do you have? Haha. Honest, guv, I don’t have any… Can’t say I ever went for that format. How about you on the cassettes front? Gave most of them away to a friend who is very slow to relinquish ‘obsolete’ formats. As I recall, his turntable is powered with bicycle pedals. Anyway, despite that, I reckon there are still somewhere between 50 and 100 cassettes tucked away in the music room, a goodly proportion being recordings of the radio program I did in the early 90s. Bit like your rehearsal tapes, I guess. Yes, I don’t have any qualms about getting rid of CDs. Apart from a few, they don’t have any emotional connection at all. Sounds like you have a nice little cassette treasure trove left over. Radio show? Would like to have checked that out. Was it on the same lines as your website? If you need a new cassette player, I’ll get you one Mash!